Esperi is velvet voiced Scottish multi-instrumentalist Chris Lee-Marr, and he's back with new single, double a-side Made For Life, just in time for Christmas. Chris has already established himself as one of the most promising acts to come out of Scotland, having been featured on BBC Radio 1 Scotland and BBC's The Culture Show, supporting the likes of Johnny Flynn and Ólöf Arnalds, and being a seasoned regular on the UK festival circuit. Title track "Made For Life" showcases Chris' talent for creating layered acoustic melodies, conjuring up images of cold winter afternoons spent curled up beside a fire with a loved one, December sunshine streaming through the window. Chris drew some inspiration from a winter spent with his partner during the renovation of their first home: left with bare floorboards and minimal heating, it's no surprise that the theme of survival through dependency runs through the song. With elements of early Leonard Cohen, "Made For Life" is a song that makes you feel thankful to be alive and in love while the mystery of winter unfolds outside. 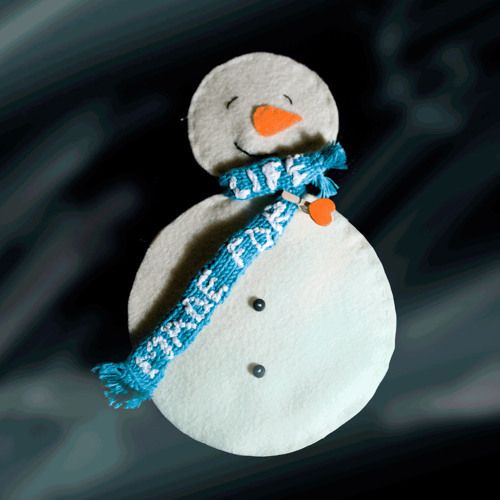 "Snowman" sees Chris returning to memories of a childhood spent playing in the snow. The innocence conveyed in his voice, beautifully complimented by a backing vocal provided by his wife, Cat Lee-Marr, creates such a swelling rush of emotion that you can almost taste the snowflakes of years gone by as they land on your lips. This single has been perfectly timed, and will appeal to anyone who's ever spent Christmas bundled under a blanket with a loved one. Made For Life is being released via Olive Grove Records as a double A-Side. There will be 50 beautifully handcrafted Limited Edition CDs made available upon its release on the 13th December.